An international version of the popular BBC iPlayer Radio app has launched in the Republic of Ireland ahead of a global roll-out. The app's global roll-out will make accessing stations including BBC World Service English more easier around the world, especially since it's no longer possible to receive the BBC World Service on traditional radio sets in many parts of the world, following the withdrawal of short-wave and AM services in many locations. 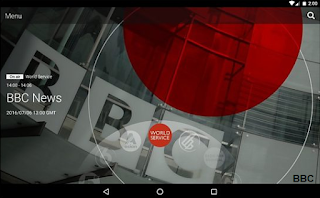 BBC World Service in English, which has a global audience of 66m, will automatically display on a touchscreen dial when users outside the UK open the app for the first time. Users can simply spin the dial to access more BBC Radio stations and discover more radio content which includes news, music, drama, comedy. “The new international BBC iPlayer Radio app makes it easier for audiences around the world to discover and enjoy the richness of our output - both live radio and to downloaded content." Users who have downloaded the iPlayer Radio App while in the UK can already take the service with them on holiday abroad. Users in the Republic of Ireland can now access the app from the usual Apple, Android and Amazon app stores, with users in other countries to follow in due course.